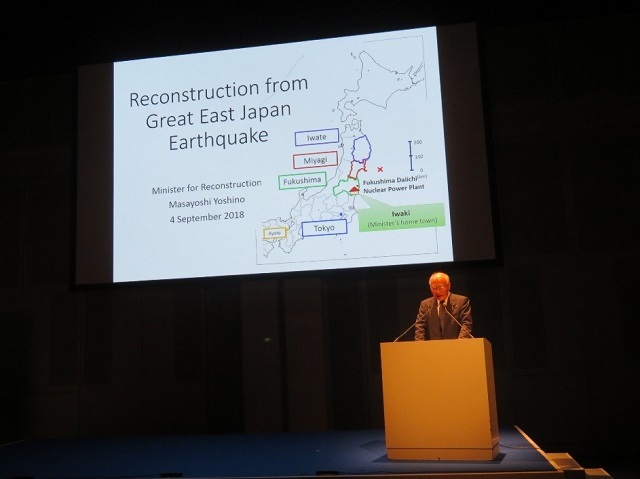 On 4th September 2018, Reconstruction Minister Masahiro Yoshino gave a briefing on the current state of reconstruction from the Great East Japan Earthquake and TEPCO Fukushima Daiichi Nuclear Power Station at Tokyo 2020 1st World Press Briefing Reception to the media organisations and other participants. 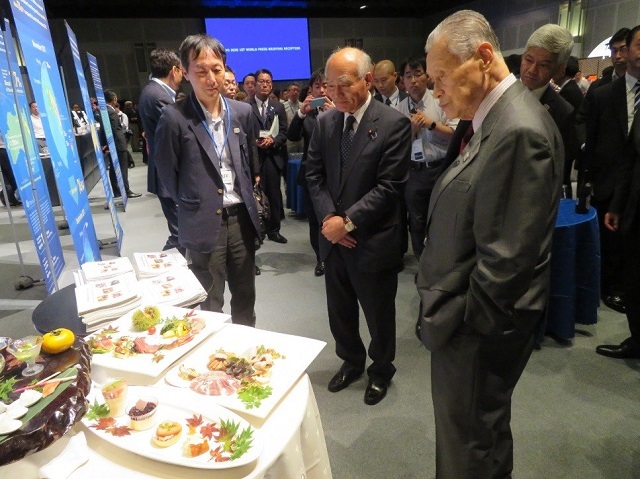 During the briefing, the Minister also stressed the safety of the Fukushima’s agricultural and fishery products explaining that: air dose rates in Fukushima Prefecture do not differ much from many cities around the world; Japan’s standard limits for radioactive substances in food are the strictest levels in the world. The cuisine using specialties in Iwate, Miyagi, Fukushima Prefectures and Tokyo and the Tohoku region’s sake were provided during the reception.